‘Security’ covers a wide range of activities. have taught surveillance and personal protection techniques. Preventative surveillance is inconspicuous observation carried out by specialists to identify and prevent possible kidnappings or assaults at an early stage. The aim of event security is to keep a low profile and provide professional services without affecting the enjoyment and atmosphere of te event. Our staff are professional, correct and service orientated but safety always remains the highest priority. 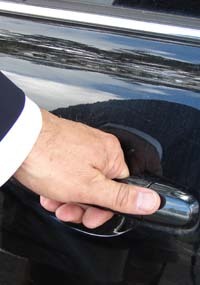 RBV has experience in protecting and escorting transport of valuables or movement of persons. Personal and technical support is available. focusses on the reaction to calamities of various sorts.